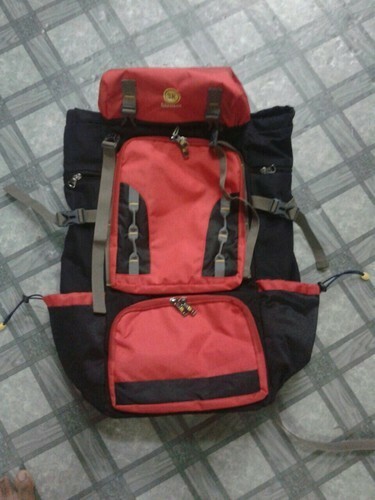 Rucksack with detachable pack of 10 Ltrs and two compartments. One bottom compartment, one top compartment with draw cord and skirting top lid with pocket & side compartments. It also have provision for carrying a water bottle. We “Shakeel Bag Shoppe” are acknowledged organization, are a Sole Proprietorship (Individual) based firm, engaged as Manufacturer, Wholesaler and Retailer of Ladies Hand Bag, School Bag, College Bag, Document Carry Bag, Foam Bag and many more. It was established in the year 1999 at MG Road, Pondicherry. Under the admired direction of “Shapeer (Proprietor)” we have attained a vast client base in the market.